I have your answer! It’s called Singing Made Easy. Yes, Moms at home can teach your kids to sing. There are 5 Levels of Singing Made Easy. 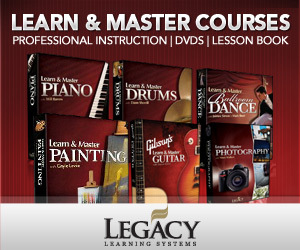 Each level contains an Instructor’s Manual with tips on vocal technique and songs to learn to sing (sheet music with chord symbols) in a spiral bound paperback book. Each level also contains a CD where each song is demonstrated by the author’s beautiful singing voice along with separate accompaniment tracks. The student is encouraged to listen to the CD often. It will help them learn the pitches, rhythms, and words to the songs, but it will also help the student internalize what good quality singing sounds like. One thing that’s fun is that the instrumentation changes depending on the song–you hear an organ for a hymn and a harmonica for a cowboy song! I love the song selections: classic folk songs in English, French, German, and Spanish that have been used for teaching singing for decades. Some I haven’t heard in a very long time, and it was a pleasure to be reminded of them! I love that each level contains at least one song in a foreign language. The pronunciation is written out in the book and demonstrated on the CD. The lessons in each of the 5 levels increase with difficulty from Level 1 to Level 5. I was happy to see variety in solos along with rounds and songs with parts and descants (a higher singing voice part). 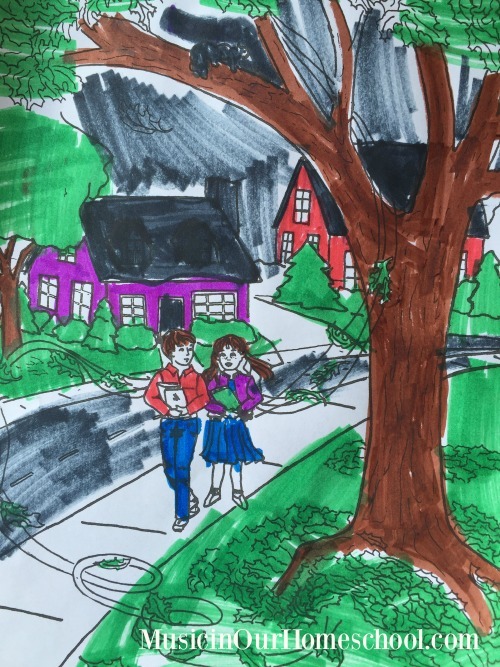 All the parts are sung on the CD, so the student is able to learn how it goes even if the student, parent, or teacher isn’t able to play it on the piano to help them learn it. The rounds will be really fun for the whole family to learn and sing together! Rounds are a classic way to begin teaching kids to hold their own part while others around them sing something different. There is also a nice variety in the types/genres of songs chosen. I’d love for kids of this new generation to learn to sing these beautiful old folk songs, spirituals, patriotic songs, cowboy songs, and hymns. 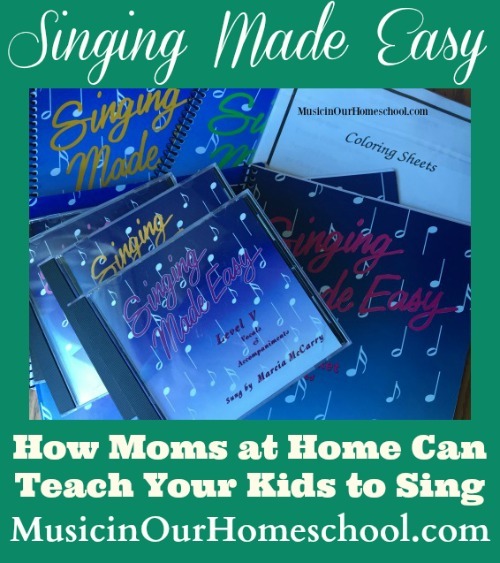 What a great way to introduce them with Singing Made Easy and teach your kids to sing at the same time! The books are fairly basic, not nicely graphically designed. It would be awesome to have them updated. Also, most of the accompaniments sound like they were recorded with a MIDI synthesizer which was popular in the 1990s. I always prefer real instruments when possible. I was impressed with the quality and amount of work put into creating Singing Made Easy. I believe it is a valuable and useful resource for elementary music teachers, voice teachers of young students, and parents who would like to help teach your kids to sing at home. 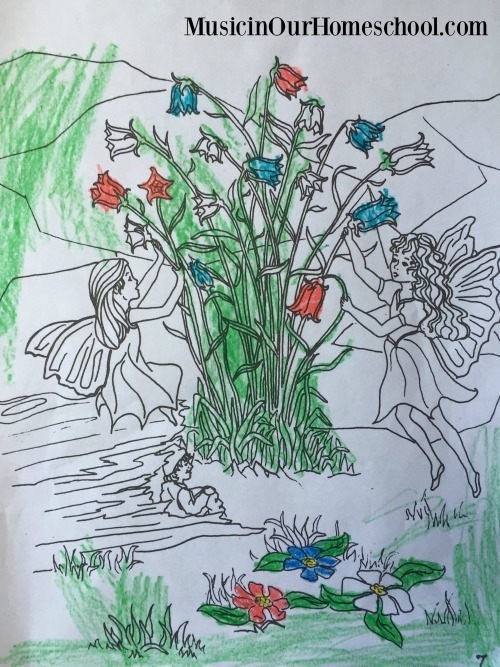 Levels 1, 2, and 3 include coloring sheets, one for each song sung. Here are a couple my kids did. In addition to levels 1 through 5, piano accompaniment books for each level are also available, as well as Christmas Carols Made Easy, The Friendly Music Staff (a fun way to learn the notes of the staff), and the Singing Made Easy: Vocal Exercises Digital Package. Looks straightforward and seems to include appealing songs. I’d like to try it out! I love to sing but struggle with teaching my boys how to! Looks great! 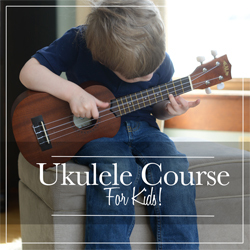 I love that it teaches all the elements of singing and makes it easy for parents to teach. What intrigues me most about Singing Made Easy is the multiple languages it uses to teach singing. You get a music lesson and language lesson at the same time.